I will never be done with Halloween! Today I bring you even more papers and a frame/QP for your collection. I hope you took a lot of photos on Wednesday to make use of all the material. 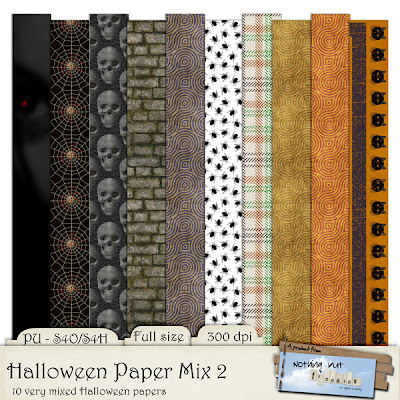 First a Halloween Paper Mix with10 very mixed papers. A few of them can even be used for non-Halloween work. 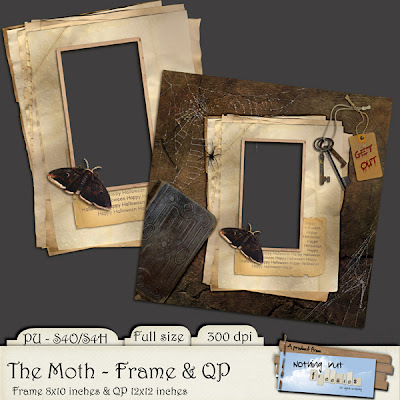 And then another frame (a big one) and QP called The Moth. I'm not all done yet, so I'll see you again soon. Thanks so much for all of the Halloween goodies! Really nice work! these are fantastic! love them! thank you! Love the mix of backing papers. Thanks so much!